during the Meuse-Argonne offensive in France. Originally a Pacifist, he was finally convinced that God meant for him to fight and would keep him safe. 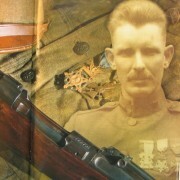 He was Corporal York when he performed his Medal Of Honor winning feats, and was Promoted to Sergeant after the action. That is how he is remembered today, as Sgt. York. 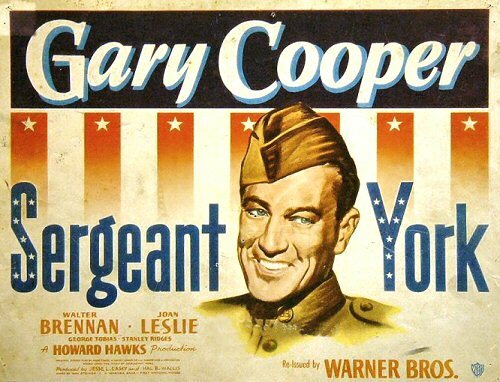 There was a well known Hollywood classic movie about him made in 1941 starring Gary Cooper(He won the Oscar for best actor). Check out the medals, awards, buildings named for him, and honors if you get a chance, unreal for a man a lot of people don’t know about today…….. 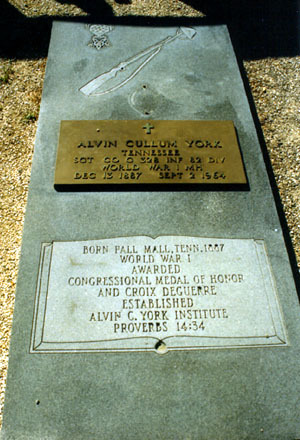 He is buried in the Wolf River Cemetery in Pall Mall ,Tennessee. 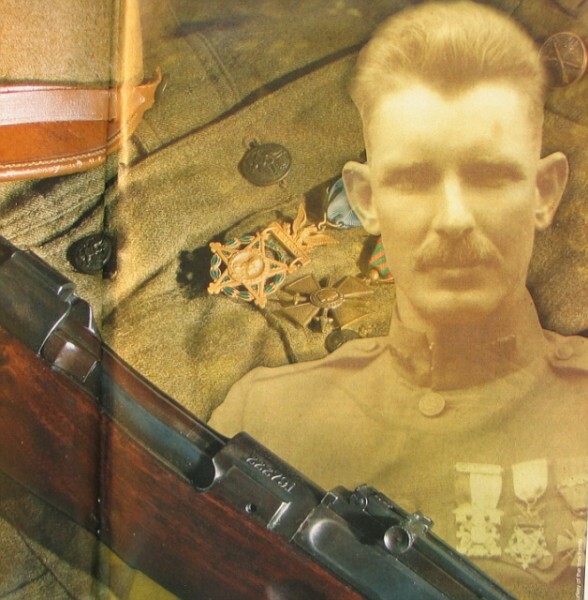 Alvin York was 30 when he became a hero. Gary Cooper was 40 when he won an Oscar playing him.